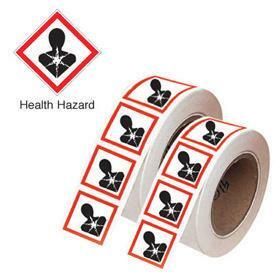 GHS Pictogram labels help identify hazardous items throughout the facility. 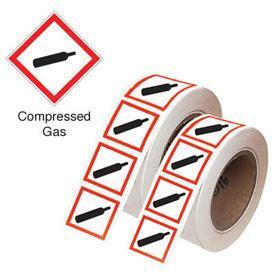 Pre-printed, die-cut GHS labels stick to any kind of surface. 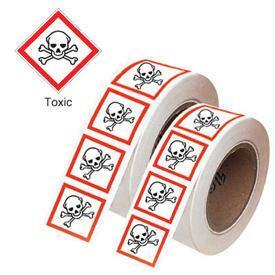 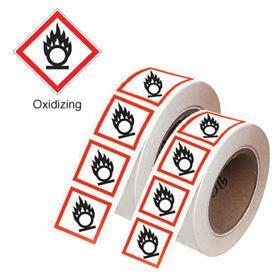 GHS pictogram labels do not peel or tear. They have a white background with a red border and black graphics. The labels comply with OSHA standards. Packaging: One roll has 500 labels.